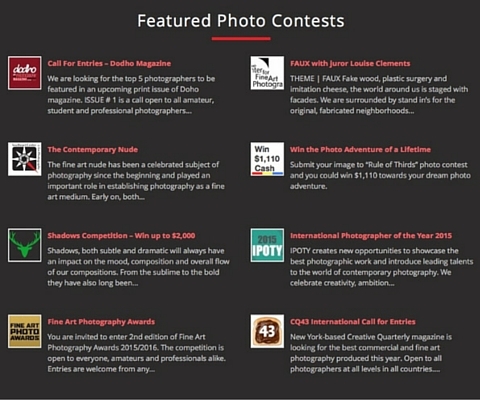 Looking for photo contest entrants? Well, we have thousands visiting us every day! The page above shows an example of where the specific ad placements are located. We have carefully optimised our website and ad placements so we can increase exposure for your contest, and maximise the opportunities for you to gain additional entrants. Featured ads are strategically placed in prime locations throughout the website and they are a great way to maintain a high profile and increase your exposure by up to 464%. 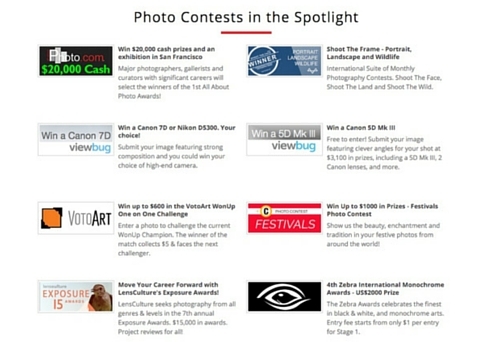 PHOTO CONTESTS IN THE SPOTLIGHT ADVERT is the most prominent place to advertise on PCI. The home page receives the highest number of visitors and is the main point of navigation, so if you really want to maximize your advertising spend, then being at the top of the homepage is the place to be. The adverts in this area rotate, and we limit the number of spaces making this our premier ad space, which in turn limits availability. Purchasing this now will secure your placement and we will let you know the soonest availability. If the date offered is not suitable, then a refund will be given. FEATURED HOMEPAGE ADVERT Receives up to 464% more exposure than any other page on PCI. Some of our clients receive over 200 clicks a day, that’s more than 6,000 clicks per month by simply advertising on the home page. This is a very popular ad placement and it ensures you receive a prominent position in a prime location with huge exposure. Your advert contains your logo – a title and description – this will be taken from your free listing, so there is no additional work or costs for creative on your part. Advertise your contest to more than 100,063 subscribers. Are you looking for an instant response? If so, email advertising is a great way to get mass exposure very quickly. We have over 100,063 subscribers that have opted in to receive emails about open photo contests, so our list is large, and extremely well targeted. If you are launching a new contest and want to shout about it? or you need to create more activity and awareness? Is your contest getting close to its deadline and you need a final push? Do you want to quickly increase the number of entries? Then you can certainly benefit from email advertising. How good is our email list? All of our 100,063 subscribers have opted in to receive emails from us about open photo contests, so our list is very targeted. Our list is also automatically cleaned by removing bounced emails and automatically honouring unsubscribe requests, so you can be confident that our list is a fresh and active targeted list, and our subscriber numbers are not inflated. With email marketing, quality is better than quantity, but at PCI we offer you both! Can we deliver your emails? As mentioned above, our readers have opted-in to receive emails from PCI, so all our emails contain PCI’s branding so our subscribers can quickly identify the email is from us, and therefore more likely to open and read it, rather than discard it as spam. We comply with the CAN-SPAM Act of 2003 and we employ a number of additional strategies to comply with and work with many ESP’s such as Gmail, Yahoo, Hotmail, Comcast and many more. We also test emails to see if they are likely to be stopped by spam filters, this is another measure to ensure our emails get through to our subscribers inbox. It’s our experience in email marketing that allows us to enjoy high open and click rates. Solus Email Campaign – Reach 100,063 readers to get quick results. Why compete? when you can send a solus email which is a dedicated email campaign to our list to advertise your contest only, you’ll receive all the attention from our readers, and you’ll see instant results. Our focus is on quality, so we limit the number of solus emails we send to prevent list fatigue, and this goes a long way to maximising the results for you. Because we don’t bombard our readers with emails there is limited availability, so it’s advisable to book early to avoid disappointment. The solus email service is for sending the email only. The creative needs to be provided by yourself. Newsletter Featured Ad – Reach out to our weekly 100,063 readers & get results. 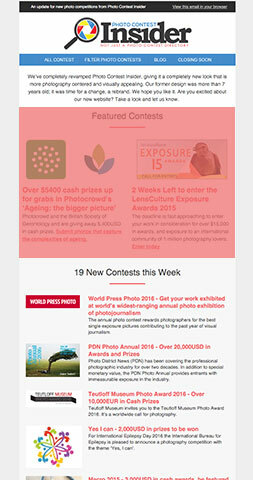 Promote your contest to more than 100,063 of our readers and see very quick results. Not all photographers are able to visit us on a regular basis, and it’s these 100,063 that have signed up to receive our weekly email updates. The newsletters featured advert offers great value for money by sending your contest to these photographers inbox’s for a mere $150. We send one newsletter per week, so book early to avoid disappointment. The newsletter goes out every Tuesday to all our subscribers. The newsletter featured advert is a version of your free listing, (highlighted in red in the image) and links directly to your website. Banner ads provide an excellent way of putting your brand, product or service to our audience, we have various size ad places for messages small or large, so if you are looking for a way to put your message to our audience banner ads can offer you good value for money. 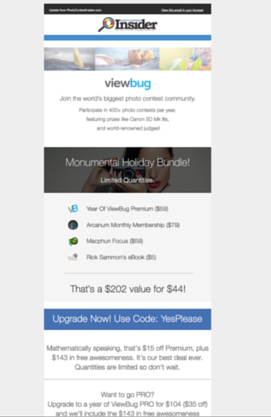 The Sidebar Ad is shown on nearly every page of Photo Contest Insider and is ideal for a good combination of Branding and getting clicks. We have 2 sidebar spots of 300x250px available. A maximum of 3 banners are rotated in one spot at any given time. Please complete the details below then click Pay Here to make your payment. 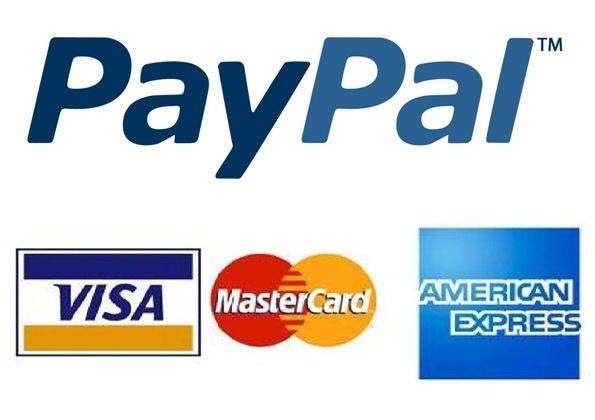 We offer payment via Paypal or Credit Card.